In our commitment to serve you, the City Government of Lamitan has been blessed to be given recognition and accreditation from different governing agencies by championing good governance practices, engaging citizenry participation, and advocating transparency. For two (2) consecutive years (CY 2014 and 2015), the ARMM Regional Gawad Kalasag Award was conferred to Lamitan City. We have been cited as the Best Prepared City in ARMM Region for our Outstanding Performance in Disaster Risk Reduction & Management and for our existing local disaster coordinating teams. 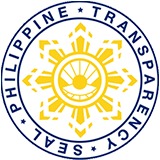 We were able to achieve the Level II Accredidation for the Civil Service Commission’s HR-Prime early 2015. This basically means that we have satisfactorily implemented the CSC Human Resource System and Programs. A certification of the Seal of Good Housekeeping was also given in 2014 by the DILG and we also have begun working to attain the Seal of Good Local Governance (SGLG). Presently, in a letter from the DILG Under Secretary Austere Panadero, LGU-Lamitan has already complied 4 out of the 6 criteria for the SGLG Seal which are: Social Protection, Peace and Order, Environmental Management, and Business- Friendliness and Competitiveness. Actually, Lamitan City is the only LGU in ARMM to have been recognized and qualified for the seal. Attaining these recognition only mean one thing: better services and good governance for the people, which basically is what we want in aiming for an Abante Lamitan City.